A group of Tanzanians visited Bangladesh a few weeks ago to learn about renewable energy initiatives in this country with the aim to help Tanzania “achieving 100 percent use of renewable energy”. The Tanzania delegation comprised representatives from the Parliament, the Ministry of Energy and Mineral resources, the civil society and the media. 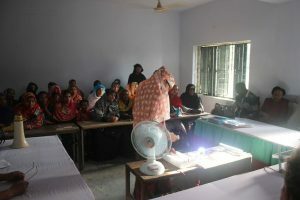 Modhukhali village in Bangladesh- Here is Shahana Begama in a classroom, speaking to 20 women. The women are listening deeply. On a table, one can see various components: a solar system, a bulb, a solar panel, a control panel, battery…These tools are used by Mrs Begama during a training. Today, she explains how to use the Solar Home System ( SHS), a cheap and a simple solar equipment. It provides electricity to poor family. The aim of the training is to assure families that they can have access to energy easily . The training programme helps also families to used solar systems. It creates a positive social force in the village as it promotes renewable energies technologies. “By implementing this programme, those women who come from poor, disadvantaged families will be able to contribute to the family income, especially improving the education and health of their their children,” explained Dipal Chandra Barua, Chairman and Founder of GGEF. Over 400 women in rural Bangladesh have been trained in servicing solar systems installed in their homes since 2010. This is thanks to the Bright Green Energy Foundation (BGEF) which strives to provide access to clean energy to poor families in the rural areas. By December last year (2015), four million solar homes systems had been installed while almost 50,000 SHS are being installed in rural homes every month. Besides repairing and maintaining their own Solar Home System, the women also provide maintenance services to other community members and train other rural women to become “green technicians, according to Mr Barua. “Some women technicians assemble and repair solar accessories: they can earn more than Tk6000 (approximately USD 76) per month. This is not a very big amount of money but it helps rural families to meet their needs,” he said. “We have taken the assembling and repairing of solar accessories to the rural areas at the users’ doorstep and created ‘green’ jobs for rural women while promoting women entrepreneurs of the future,” he added. Building capacity and helping people having access to energy is really needed and helpful said trainees. “My children can now study and do their homework at home because there is good light in the house during the evening. We are also earning extra income from neighbours who come to charge their mobile phones and we can also watch television,” Ms Rabeaya Islam said, one of the 20 women trainees. The use of Solar Home System in rural Bangladesh has also reduced the use of kerosene. About 500 people in developing countries use kerosene for cooking and lighting, using an estimated amount of 96 billion liters of kerosene annually, according to experts. This brings to 96bn USD, the amount of money poor families have to spend on kerosene, basing on the assumption that one liter of kerosene is sold at one USD. In Tanzania, there have been isolated cases of women trained to use and repair solar systems, mostly in urban areas. Besides covering small parts of the country and thus benefitting few people, such programmes have not been sustainable. Families who own Solar Home System depend on the services of private technicians and it is expensive. Some poor families in the rural areas have remained in the dark for months after their system have become defective. Getting a qualified technician to repair the system is complicated . Usually people cannot afford the cost of repair. “I think it is important that these programmes are introduced and sustained not only because they are cost-saving undertakings to the family, but they also give the trainees a sense of ownership and responsibility: when there is no light in the house, it is the woman who is most concerned about the safety of the children and the whole family in general,” said Sixbert Mwanga, Country Coordinator of Climate Action Network (CAN Tanzania). In March 2016, Bright Green Energy Foundation had installed in the rural areas 4,300 Improved Cook Stoves (ICS), and 115 biogas plants. “Expanding the use of ICS to replace the traditional cooking stoves has protected women and children from indoor pollution and from serious health hazards,” said Mr. Barua, adding that renewable energy should reduce poverty, promote health of the rural poor and enhance sustainable development. In one of its reports the World Health Organisation (WHO) estimates that over four million people die prematurely from illness due to household pollution from cooking with wood, charcoal, coal and dung. Most of those who die are poor and live in developing countries. Speaking to the Tanzanian delegation, Dr Saleemul Huq from the International Centre for Climate Change said that changes must begin at the grassroots level where problems of the poor and the marginalized should be addressed. “Transitioning from traditional sources of energy most of which are not friendly to the environment is a fundamental change towards sustainable development. The change must begin at the community level where the poor are most vulnerable and women must be the agents of this change,” he said. Bright Green Energy Foundation (BGEF), based in Bangladesh, seeks to promote and encourage women in the rural areas to become entrepreneurs, and be part of a major component of a “green workforce” for renewable energy expansion. In line with this vision the organisation plans to train 100,000 women at the rural grassroots level by 2020. BGEF also promotes the use of biogas in rural homes particularly for cooking and lighting. Deodatus Mfugale is an experienced freelance environmental journalist based in Dar es Salaam Tanzania. He is a media consultant/trainer specializing in environment, climate change, extractives industry and investigative journalism. He works on voluntary basis with the Journalists Environmental Association Of Tanzania (JET) in the areas of writing features, editing and conducting short-term training sessions. Currently, he writes as a correspondent for Daily News and The Guardian newspapers, two Tanzanian newspapers. But he was formerly employed by The Guardian Ltd where he served as a news editor, a sub editor and a features editor before he resigned in 2009. He is now a Board Member of Shahidi wa Maji (Water Witness). Between 2012 and 2014. 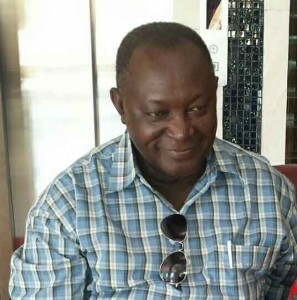 He served as a Member to the Advisory Committee of the Climate Change Research, Education and Outreach Programme of the University of Dar es Salaam. He has attended many climate change meetings and other international conferences.